Another Gem of a Restaurant in Málaga – El Tres. Joy of joys – we discovered El Tres about 2 or 3 days after it opened in April of this year. We actually went to the restaurant by mistake as it was in the same building as another of our favourites with an Italian twist, Osteria Pastrani (which was owned by the same Gorki Group). Well, what a very happy outcome. We loved Pastrani and the wonderful cuisine, but we have totally fallen in love with what has taken its place and El Tres is now a restaurant that we visit every couple of weeks if we can!! This restaurant (along with JCG with the Michelin Star in the port) have set the bar very high indeed and are now the standard by which all restaurants need to reach to get on our top ten list in Malaga! We are not restaurant critics – we will leave that to others, but we are very serious “foodies” and this establishment ticks all our boxes (and we reckon that over in 10+ visits we have probably been through the menu – although it does change regularly – very happy about that too!!). Rosa Serrano, the wonderful Málagueña Chef describes her fayre as “Alta Cocina Clásica” and it is certainly of the highest quality with delicious touches of Spanish, Basque and French Cuisine. Rosa trained at Malaga’s best Hotel and Catering School, La Consula (such a shame that the school continually has to fight for financial survival!!). 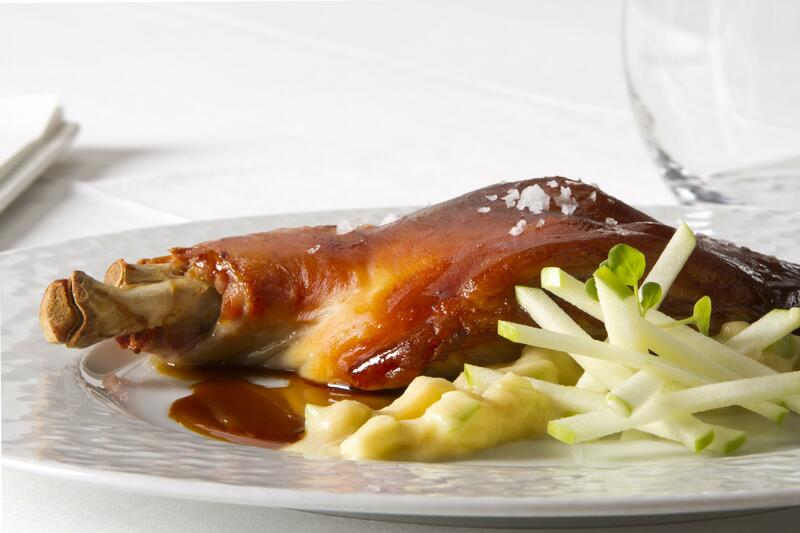 Her talent was quickly recognised by José Carlos Garcia – the only Chef with a Michelin star in the city (you can see our blog post on his restaurant JCG here : https://tapasinmalaga.wordpress.com/2014/06/09/our-favourite-restaurant-in-malaga-jcg-jose-carlos-garcia/ Rosa worked in the kitchen of his first Michelin Starred restaurant, Café de Paris and then at his new one, JCG. The restaurant is small and compact (just three tables outside on the terrace so book early if you want one of those). very pleasantly decorated and good comfy seating (not too common in Málaga!). Service is excellent and the lovely Maitre, JuanJo and his staff are attentive without being ever present or “in your face”. JuanJo also prepares the Steak Tartare and a dessert or two at your table. Moreover, this restaurant is really remarkable value for money. We rarely spend much more than 50€ a head including wine. The current tasting menu of 5 courses (with a couple of amuse bouche thrown in) and including a couple of glasses of wine is 47€ per person. Best value in town. If going A La Carte, the wine list is balanced and reasonably priced too. (The 2008 Marqués de Vargas red Rioja is excellent). Some of the dishes we have found to be really rather historic. 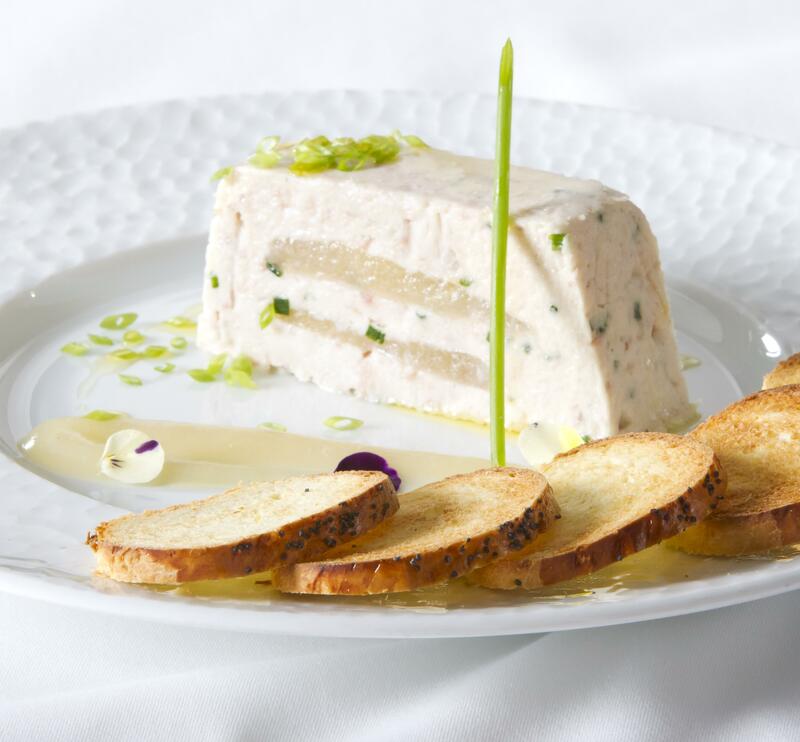 Smoked Eel Terrine with Pear and Poire William, the Cateaubriand with Bernaise Sauce and the Steak Tartare (both made with extraordinary Galician Beef that rivals anything Argentina has to offer in our opinion), have to be repeated by us on a regular basis. The Monk Fish and Hake Dishes are also exemplary, as is the Roast Suckling Pig and the Goat. (Actually I think we have loved everything!). 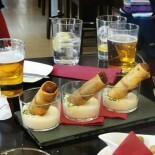 Delicious Desserts too (would love to see a fabulous Cheese Board of Spain’s best Cheeses but that is just me!!). Best to book as the restaurant is gaining a great reputation on a weekly basis. Bravo Rosa! Open for lunch and dinner daily but closed Sunday. The lovely Rosa with me! 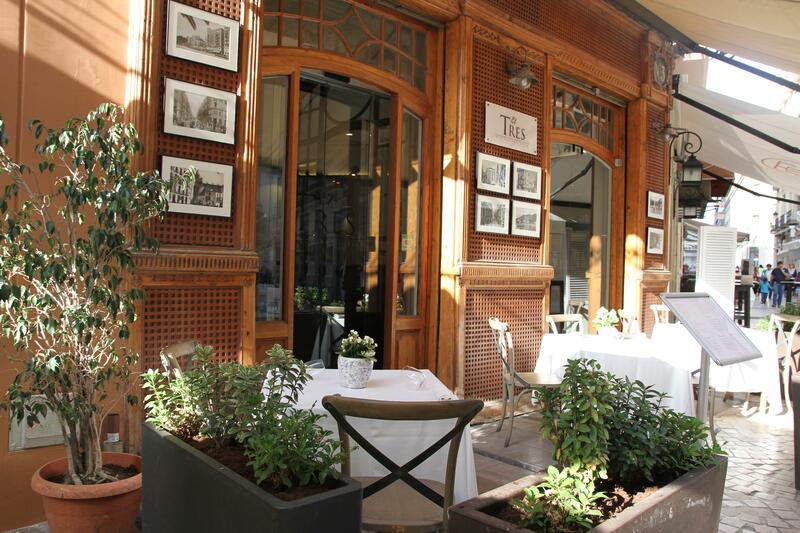 This entry was posted on September 21, 2014 by Tapas in Malaga in Málaga, Retaurants in Malaga and tagged Best restaurants in Málaga, El Tres Restaurant Malaga, Fine Dining Malaga, Gourmet Dining in Malaga, Gourmet Restaurants Andalucia, Grupo Gorki Malaga.